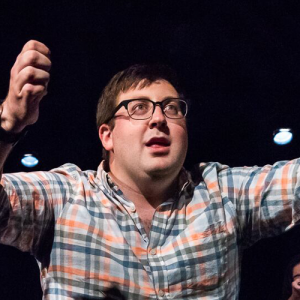 A critically acclaimed improvisor, Jeff Friedman was once named as "also a member of the troupe" in his college paper, and has won such improv awards as "most likely to to say no in a scene." After realizing that money is an important factor in surviving our modern-day society Jeff moved backed to D.C., got a paying job, and started taking classes at WIT. Since being a part of the D.C. improv scene Jeff has been a part of indie teams such as Indoor Voices, Hunky Jesus/Definitely Not A Cult!, Alex Jones-prov, and EVERYONE DIES.